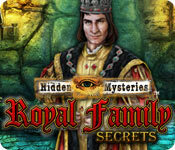 Secrets can cause a lot of trouble, especially when those secrets belong to the royal family. After discovering the secret relationship of Queen Elizabeth I and a low Catholic noble, Alphonse Pieter, you are sent off to Roanoke Island, one of the New Colonies, on one of Sir Walter Raleigh's ships. You have heard that William Shakespeare has just completed a play about the affair, and that the recently executed Mary, Queen of Scots, had a diary that mentions Alphonse in her quest for reform. Lastly, there has been talk of a packet of letters belonging to Alphonse's previous lover that prove he is up to something devious. Sir Walter Raleigh advises you to move in secret and collect the evidence you need to prove Alphonse Pieter's guilt before approaching the Queen. If you're successful, you just may be able to nullify your death warrant and prevent a revolution.